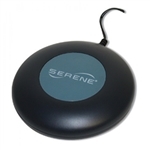 Serene Innovations Bed Shaker wakes you up with strong vibration when used with the CA-360. Easy to use; just put it under your pillow or between the mattress. 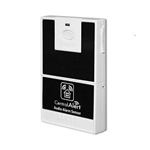 detects the alarm sounds of virtually all of your audio, smoke, gas, and fire alarms when used with the CA-360. brings natural, crystal clear, stereo TV sound right in front of you, loud and clear, even with your TV speakers turned off. alerts you to all the daily sounds in your home such as alarm clock, door knocking, phone ringing, alarm sound from your audio alarms, warnings from your motion detectors and storm warning from your NOAA radio and more. 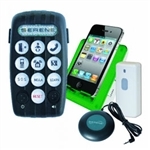 monitors your home 24/7 with wearable unit, doorbell, home/cell phone ringer/flasher, and now includes bed shaker.